Tracy joined the firm in September of 2014 as an Administrative Assistant in the Warrenton office. She earned an Associates of Arts Degree from The Art and Fashion Institute of Atlanta in 1986. 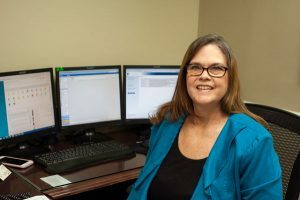 Her experience in administration comes from her 30 years of serving in prestigious firms throughout Northern Virginia and another five years in the tax and accounting field. Tracy has been recognized for outstanding client service while being detailed and focused on serving clients based on their specific needs. Tracy lives with her husband and three children in Jeffersonton, Virginia.